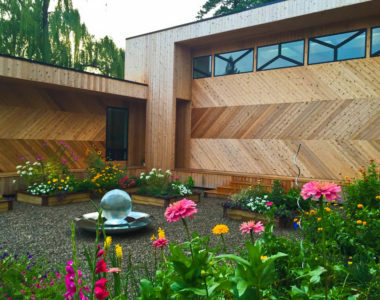 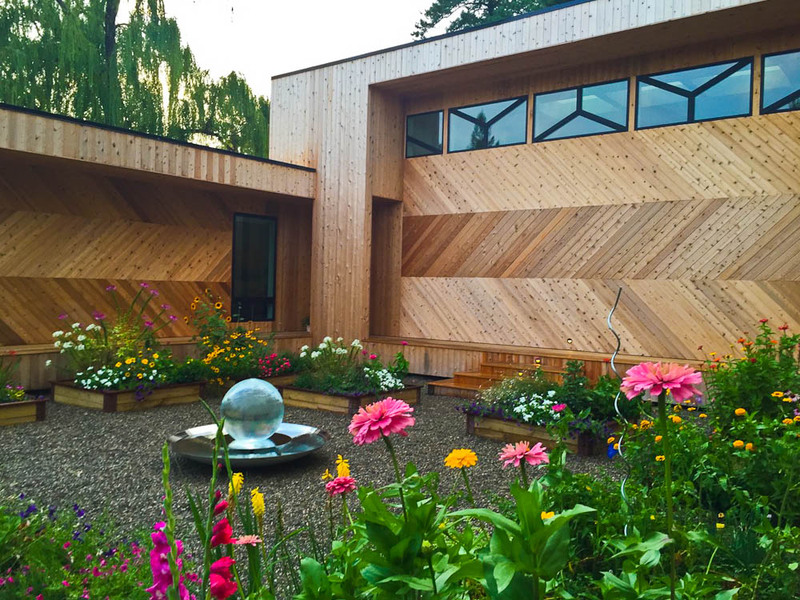 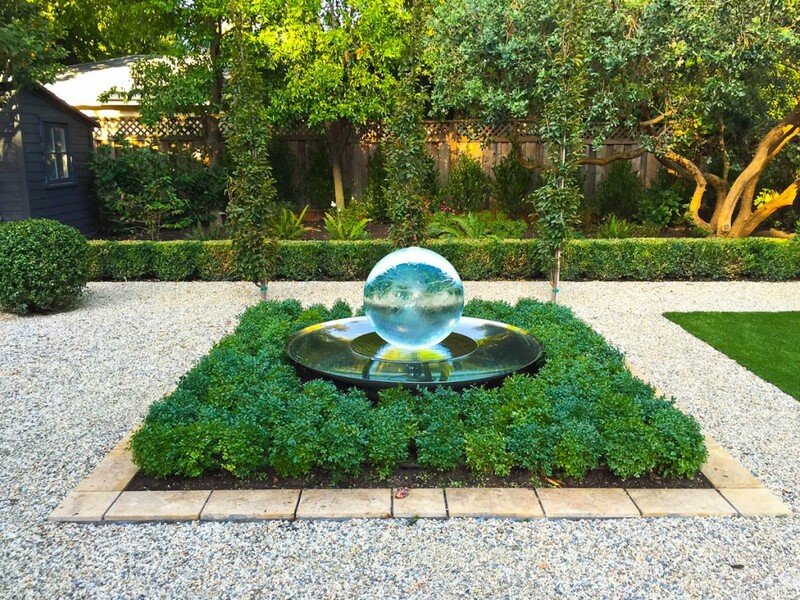 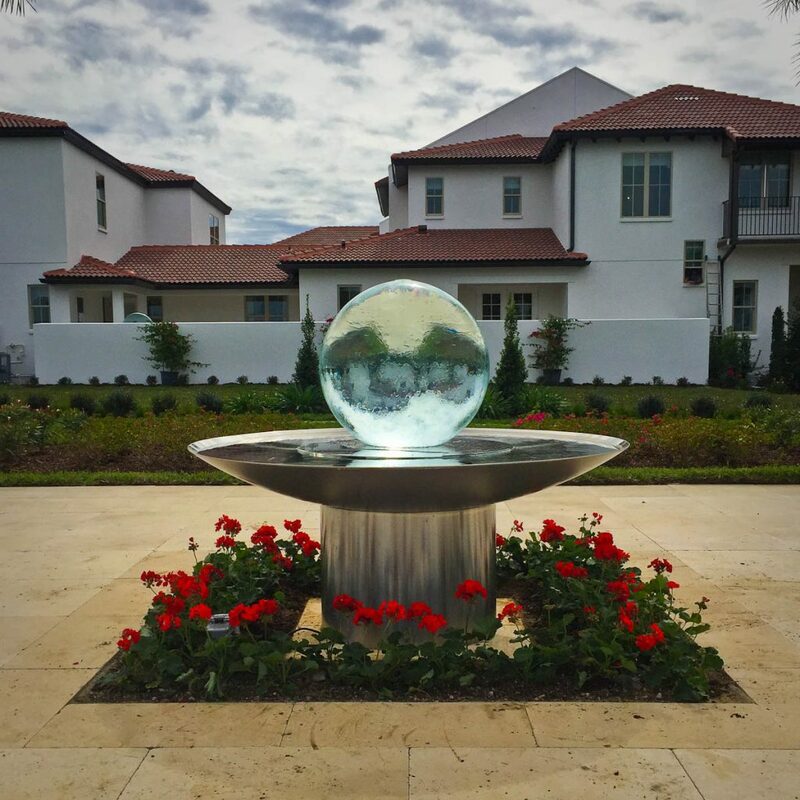 Pictured is the Aqualens by Allison Armour, whose work combines modern materials with classic geometrical shapes to add magic to gardens and other spaces. 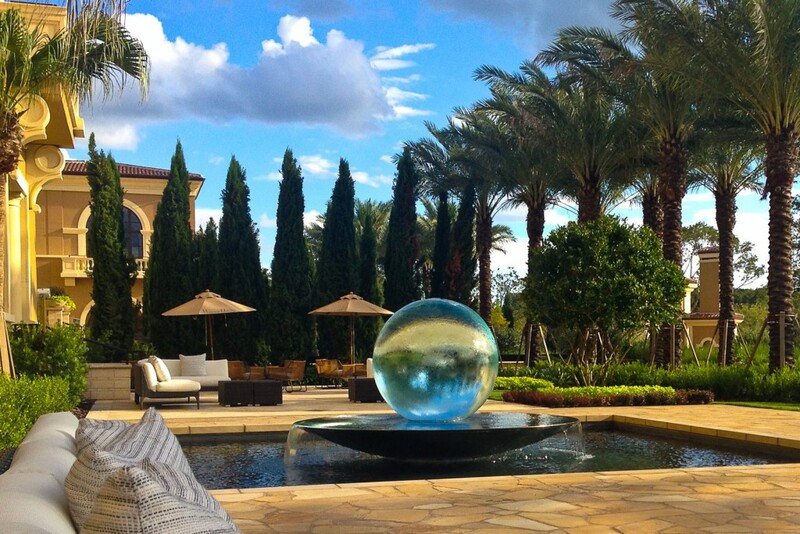 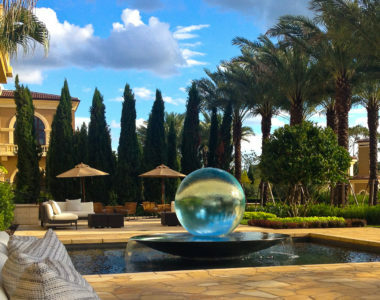 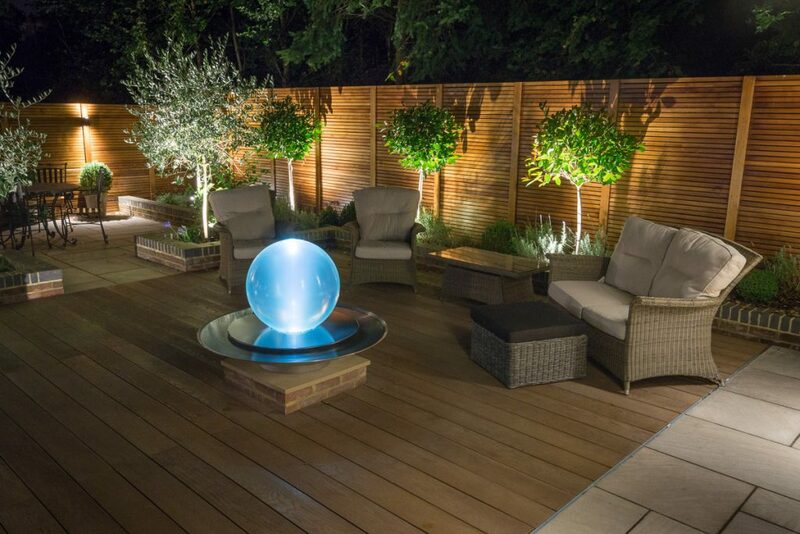 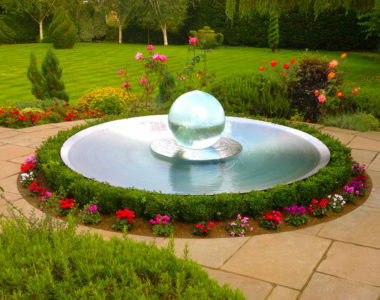 Allison also caters to large-scale projects for corporate work, and special commissions for interiors or exteriors. 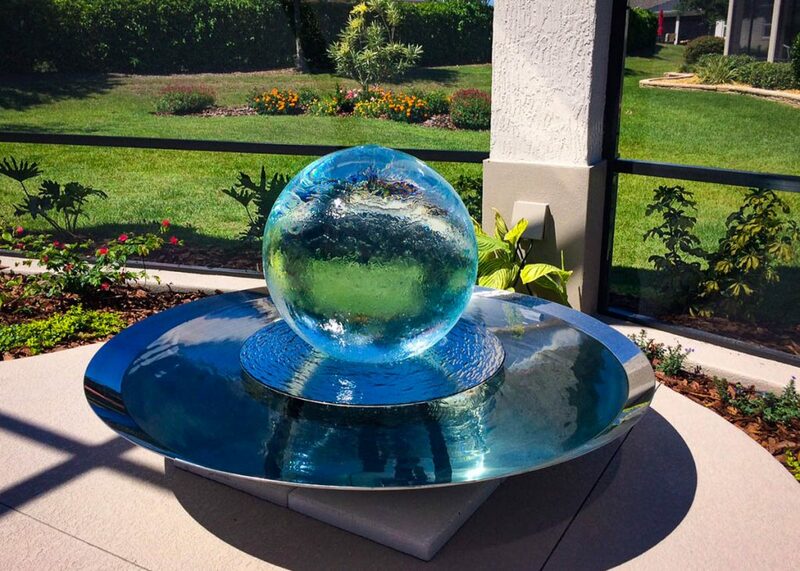 The sculptures can be made any size and customized in a variety of ways. 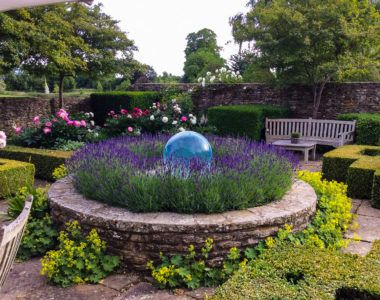 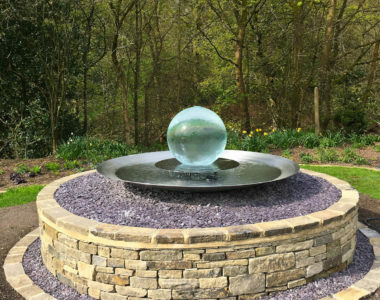 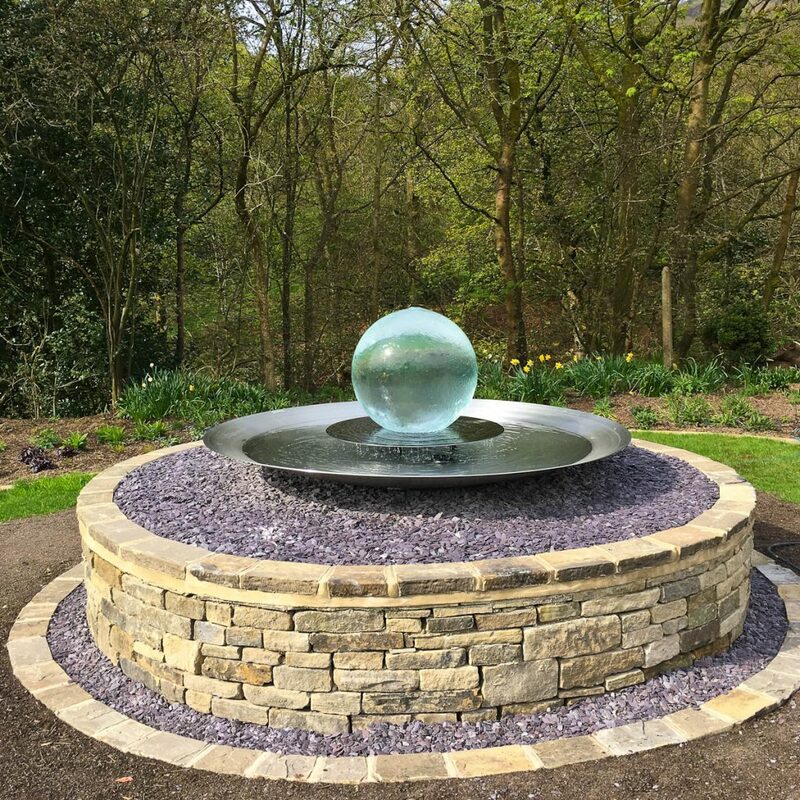 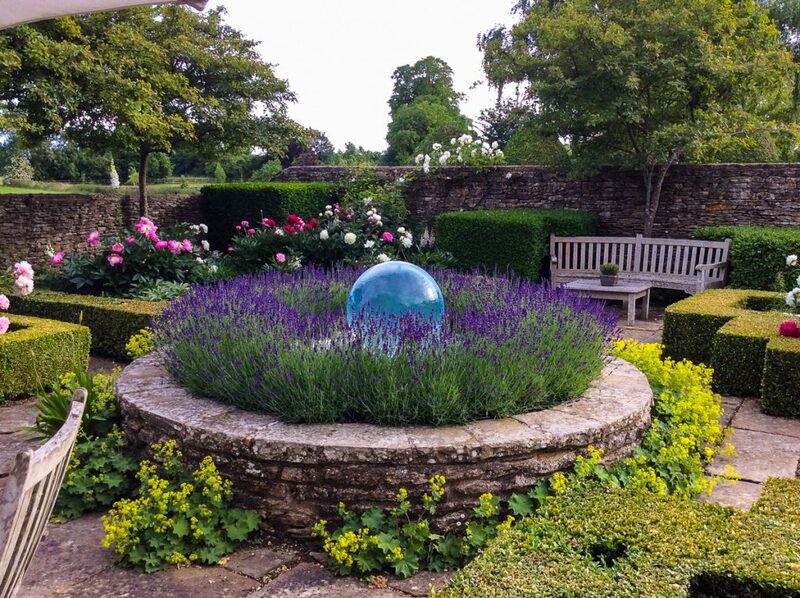 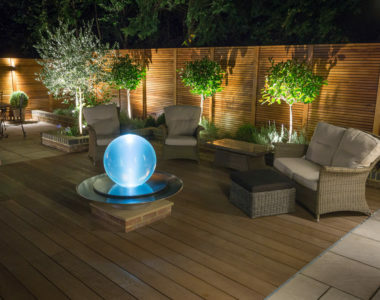 Allison’s most popular water feature was designed in 1999, as the centrepiece of a show garden at the 2000 Chelsea Flower Show , where she won a silver medal on her debut for “Garden of Reflections” (also incorporating more of her garden artwork). 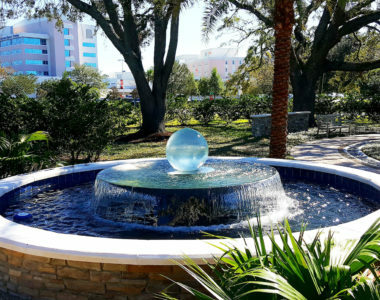 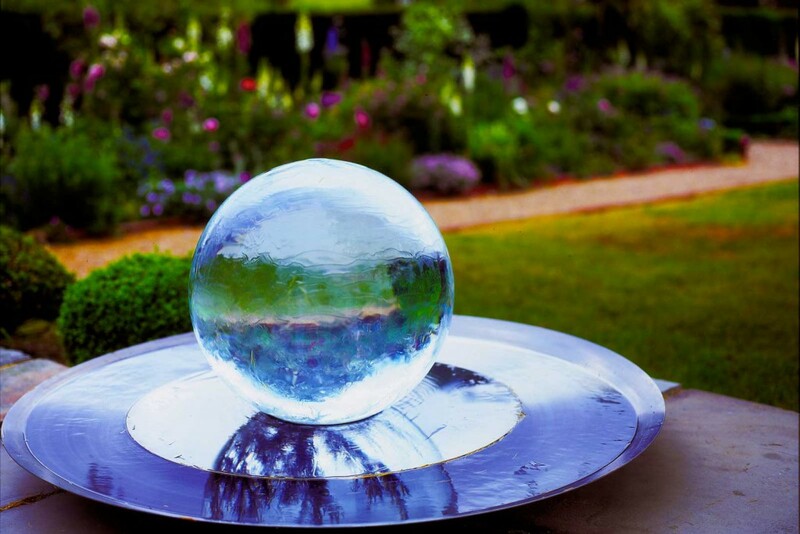 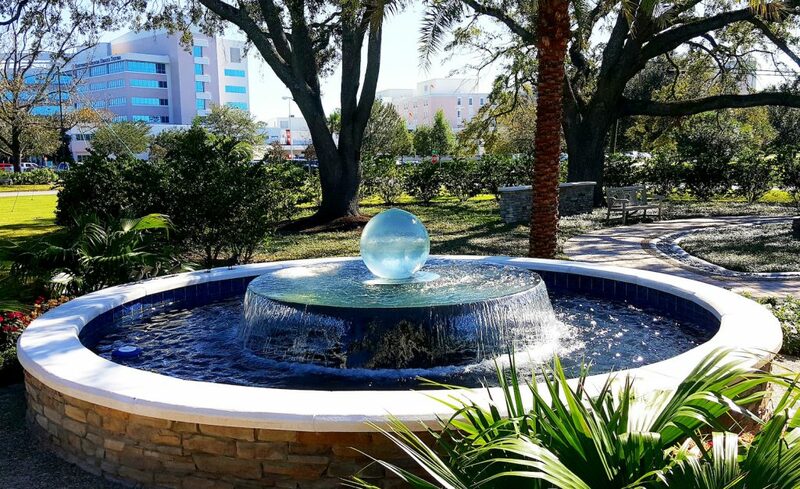 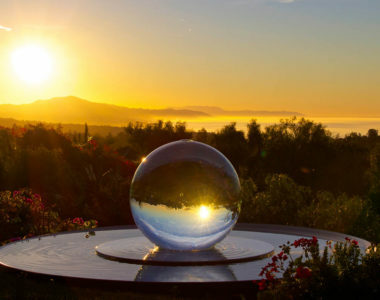 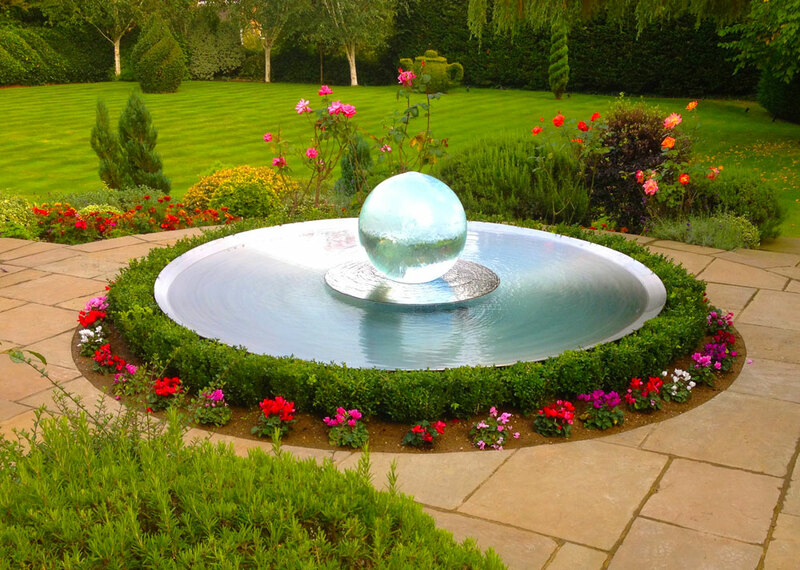 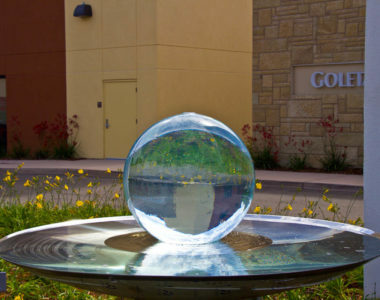 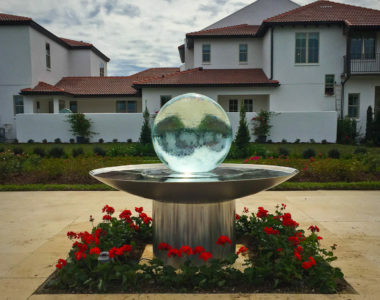 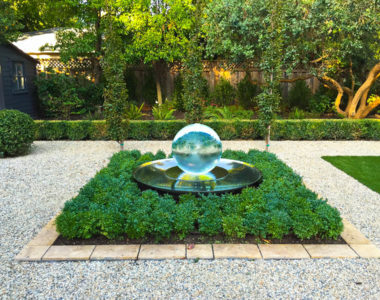 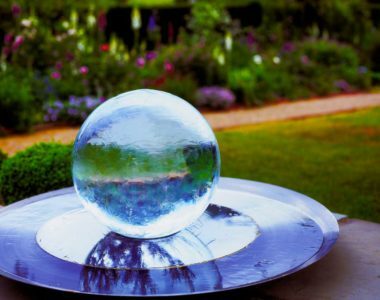 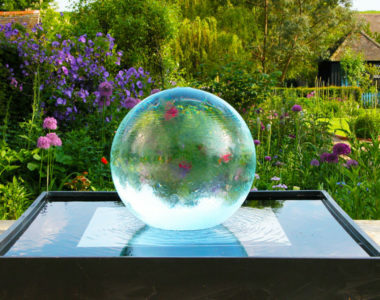 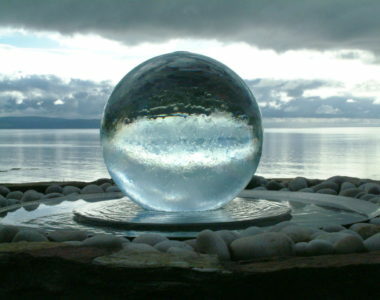 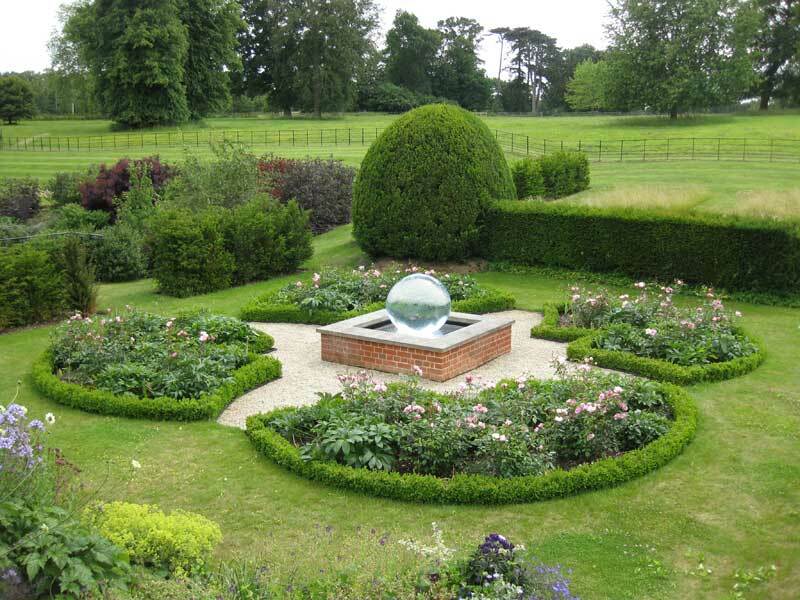 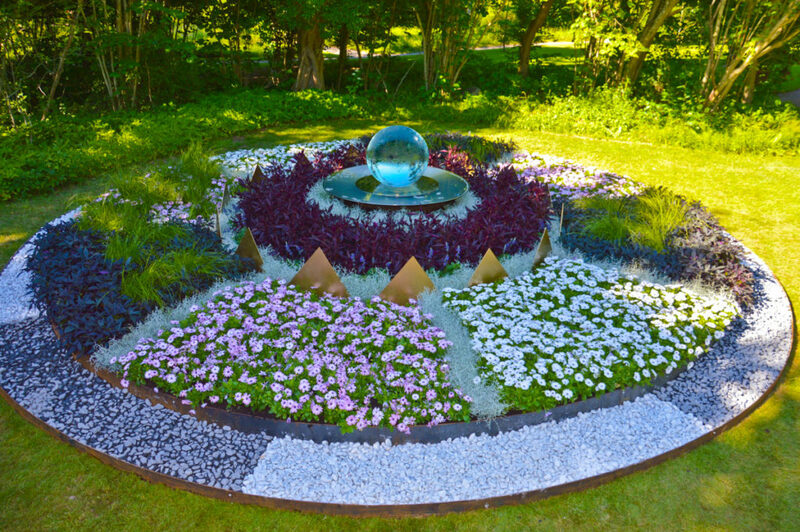 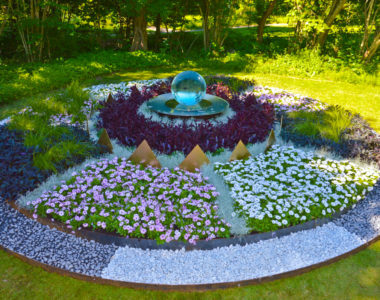 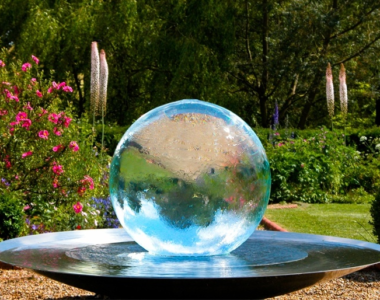 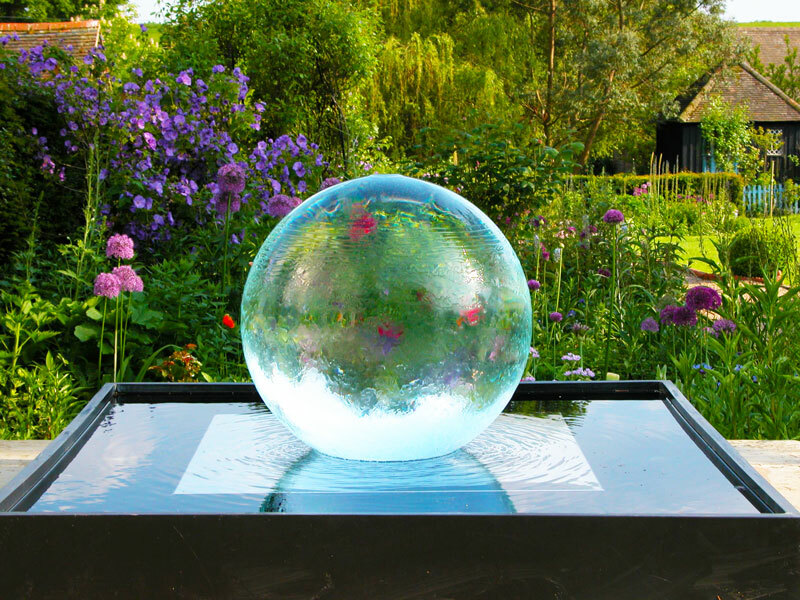 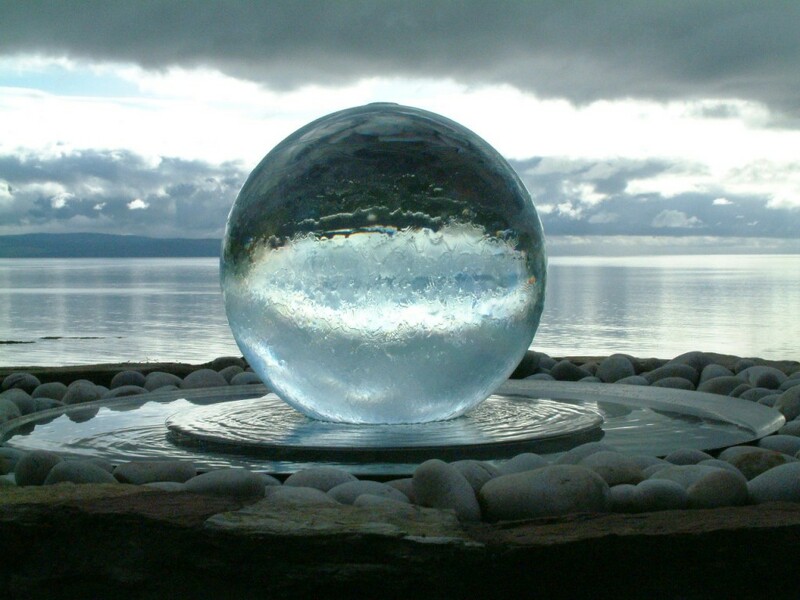 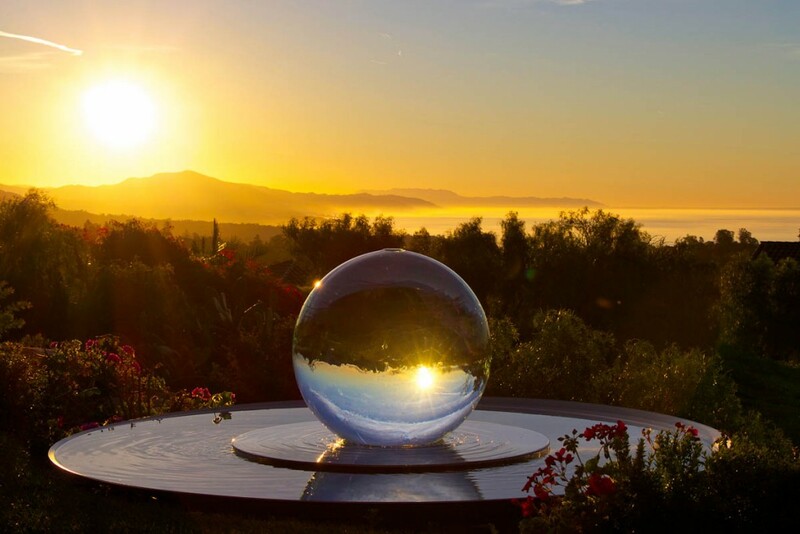 The fountain is based on a 2 foot (60cm) diameter acrylic sphere, filled and overflowing with water from a concealed pump. 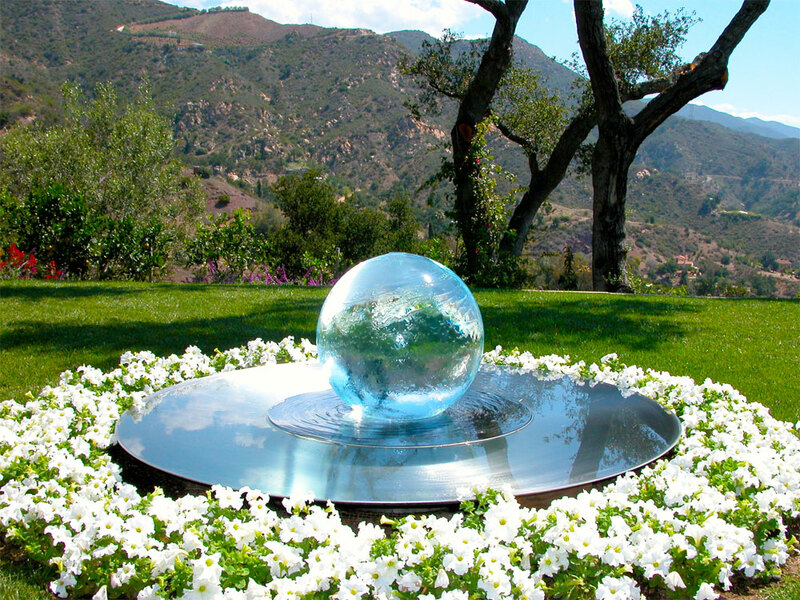 AquaLens sets this on a circular stainless steel platform, which in turn is set in a 5 foot (1.5m) diameter stainless steel contact-lens dish pool. 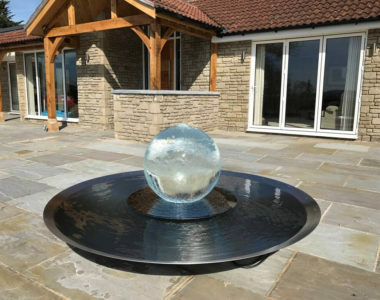 The pool can be dug into a lawn, or set on a terrace or other firm level surface (the pool has a fitted collar so it sits level). 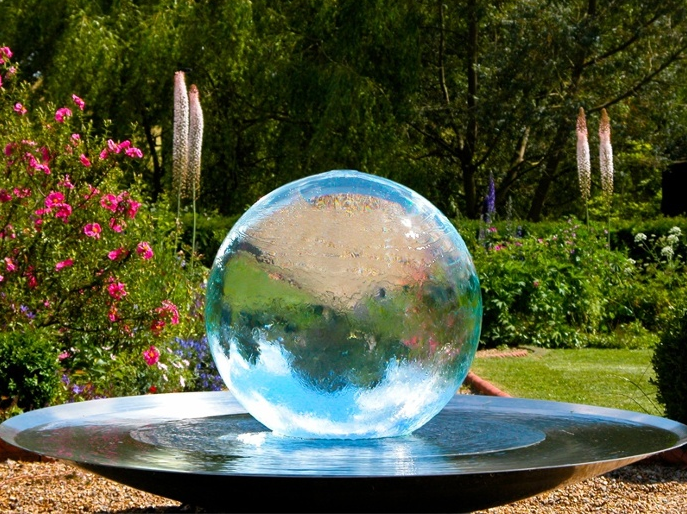 We can create the Aqualens dish and sphere in any size. 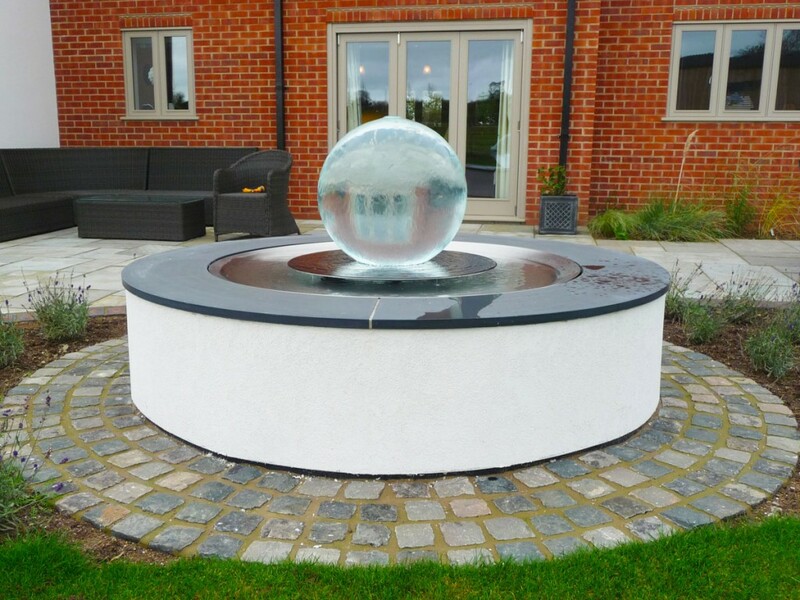 Operation and maintenance are simple: The Aqualens comes fully assembled, just fill with water and plug in the lead for the electric pump. 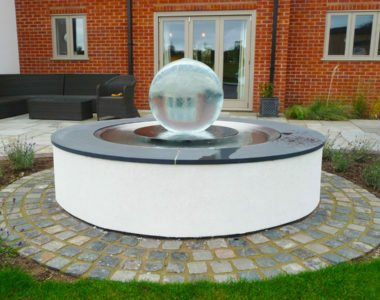 Options available include a fitted internal light, and a different size of dish. 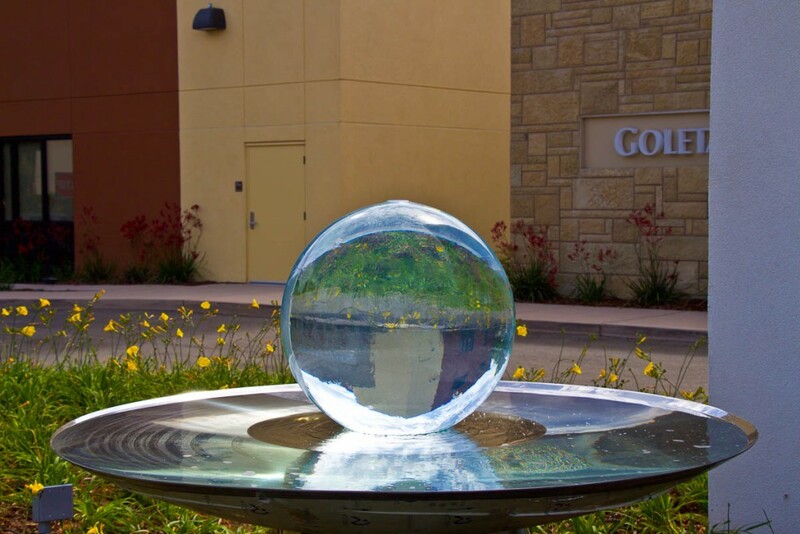 Click here to view the installation and maintenance information. 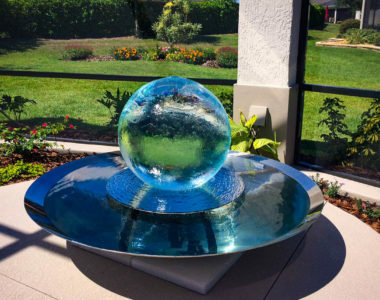 The dishes on the aqualens may have minor imperfections due to the nature of the spinning process.